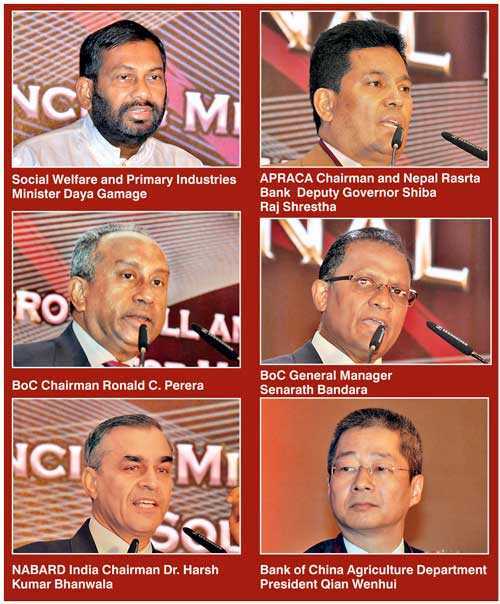 The Asia Pacific Rural and Agricultural Credit Association’s (APRACA) Regional Policy Forum kicked off its 70th Executive Committee Meeting (EXCOM) and 21st General Assembly at Hilton Colombo yesterday. The forum, titled ‘Financing Micro, Small and Medium Enterprises: Solutions for Missing Middle’, was attended by over 80 foreign delegates and an overall participation of 150 people. This was the second time that Sri Lanka was selected to host the APRACA Regional Policy Forum after 1992. Finance Minister Mangala Samaraweera and Central Bank Governor Dr. Indrajit Coomaraswamy also addressed the forum at the inauguration yesterday. Outlining the objectives, APRACA Vice Chair and Bank of Ceylon CEO/General Manager Senarath Bandara said the forum would discuss challenges and tools to enhance access to finance by micro, small and medium enterprises (MSMEs) in the Asia Pacific region. “During the three-day forum, the focus will be on market-based approaches and the role of central banks, development banks, commercial banks, etc., to improve countries’ lending infrastructure and financial regulation, opportunities and challenges arising from the rapid expansion of fintech in the region, identifying needs for further cooperation among member institutions and countries, and on efforts to further improve access to financial and non-financial services that are innovative and tailored to suit market needs to further bridge the financing gap for MSMEs,” he stressed. Bandara also said that the recommendations emanating from the regional forum would provide guidance to the APRACA member on strategies to enhance MSME financing, while ensuring financial stability and fiscal sustainability. Noting that it was after many years that Sri Lanka was hosting this internationally significant event, he highlighted the initiative taken by the BOC to promote financial inclusion in the country while contributing to develop MSME sector with special focus on rural and agricultural based businesses. “This has made BOC a significant driving-force in the Government of Sri Lanka’s agenda for economic sustainability. It is a privilege therefore, to host the Regional Policy Forum, 70th APRACA EXCOM and 21st General Assembly on behalf of Sri Lanka and Sri Lankan member institutions to facilitate a platform that guides members of Asia-Pacific region to develop innovative strategies to ensure financial stability and fiscal sustainability,” he said. Bandara noted that this event also offered the opportunity for participating local banks and financial institutions to expand and strengthen their network with other similar foreign institutions in the regions. APRACA Chairman and Nepal Rastra Bank Deputy Governor Shiba Raj Shrestha pointed out that this policy forum was a matter of interest and concern for millions of small and micro-entrepreneurs that were the backbone of both developing and developed economies. “Financing SMEs plays a key role in promoting entrepreneurship, and ultimately strengthening society and eradicating poverty,” he added. Shrestha also outlined how the Nepal Rastra Bank had been actively participating in the APRACA since its foundation in 1977. “APRACA has made continuous efforts to promote the development of rural financial institutions for enhancement of rural livelihood through varieties of rural and agricultural credit facilities in the region. During the past four decades, the number of member institutions of APRACA has been increased to 84 financial institutions spread over 24 countries, providing continuous support to APRACA,” he said. The forum included three technical sessions yesterday in which the forum discussed on current state of affairs on financing MSMEs in the Asia-Pacific region. Central Bank Deputy Governor C. J. P. Siriwardana moderated this session and Reserve Bank India Executive Director Dr. Surekha Marandi moderated the second technical session which discussed the policy environment to promote MSMEs, incentivise innovations, markets and finance. The third session shared and discussed success stories on MSME financing across the Asia-Pacific Region and Finance Ministry Economic Advisor Deshal De Mel moderated this session. The technical session and the inauguration winded-up with a closing speech by the Central Bank Governor Dr. Indrajit Coomaraswamy. In addition, Social Welfare and Primary Industries Minister Daya Gamage, BoC Chairman Ronald C. Perera, Bank of China Agriculture Department President Qian Wenhui and National Bank for Agriculture and Rural Development (NABARD) India Chairman Dr.Harsh Kumar Bhanwala also shared their insights. The 70th EXCOM meeting and 21st General Assembly of APRACA will take place today, focusing on, inter alia, the APRACA strategic plan for 2019-2024. On the third and final day, foreign delegates will go on a field visit to MSME finance showcases in Sri Lanka. APRACA was established in 1977 as the organisation on rural and agricultural finance that helps promote productivity, inclusive growth, self-reliance and welfare of the rural poor in the Asia-Pacific region. Since then, it has been promoting cooperation and facilitating mutual exchange of information and expertise in the field of rural finance. Currently, it has a total of 83 institutions from 24 countries in the Asia-Pacific region. For many years now, APRACA has been praised as an association that has aspired to work for rural growth and development. APRACA is a non-government international organisation involving central banks, agricultural and development banks, commercial banks, apex organisations, federations of financial institutions and rural development institutions in the region, which are involved directly in agricultural credit and rural development. Its headquarters is situated in Bangkok, Thailand. APRACA’s training and research arm CENTRAB (Center for Training and Research for Agricultural Banking) was established in 1989 in Manila, Philippines, with the aim of formalising existing informal arrangements to stimulate and facilitate cooperation in the area of training and research and encourage knowledge and understanding of financial, monetary, banking and economic development issues relating to agriculture and rural areas. Reiterating its commitment to integrate SMEs into mainstream economic activities, the Government said it was in the process of drafting new measures for the Microfinance Act, focused on responsible lending practices. Addressing the inauguration of the Asia-Pacific Rural and Agricultural Credit Association (APRACA) Regional Policy Forum in Colombo yesterday as the Chief Guest, Finance Minister Mangala Samaraweera underscored the significant contribution of SMEs to economic development and the obstacles they face as well as measures taken by the Government to improve access to credit and markets and encourage integration of value chains, connecting them with large firms. He said proliferation of unethical lending in microfinance was observed, particularly in the war-affected north and east areas in the country, and to address this the Government had written off microfinance debts of over 45,000 women amounting to more than Rs. 1.25 billion, which they hope to expand next year. “We are, at the moment, putting the final touches to a new Act, which will cover the unregulated microfinance sector, stipulating industry standards in protecting borrowers from exorbitant and unnecessary charges and other malpractices commonly seen in the industry,” the Minister stressed. As much as access to finance is promoted through Government programs, he believes the administration should also focus on encouraging responsible lending practices. “Globally, SMEs represent a significant component of all enterprises. In Sri Lanka, the majority of companies are of the SME category and contribute the bulk of employment as well. Nevertheless, they persistently face difficulties in setting up and running businesses. In fact, in most surveys done around the world, access to finance is a striking obstacle faced by SMEs, and this is no different in Sri Lanka and the rest of our region,” he added. Samaraweera assured that measures were being taken to improve access to credit, access to markets, and encourage integration of value chains connecting SMEs and large firms, particularly through the ‘Enterprise Sri Lanka’ scheme to address some of these obstacles and minimise the SME finance gap in Sri Lanka. “We will encourage project-based lending rather than collateral-based lending, rationalise upfront taxes that hinder expansion, and encourage knowledge sharing between R&D institutions and SMEs. Inclusivity is a priority in the ‘Enterprise Sri Lanka’ program. The scheme promotes inclusivity of often-disadvantaged groups of society,” he added. The Minister said preferential interest rates were given for enterprises headed by women and those who were differently-abled. In addition, he said youth unemployment was addressed partly by enabling young graduates to start-up companies through access to interest-free loans. “I am pleased to note that up to now, nearly 20,000 people have applied to the participating banks for these loans since its inception and the Government anticipates further growth in these figures. 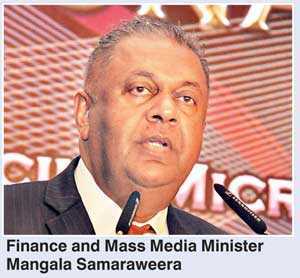 Through these schemes and associated multiplier effects, the Government expects that one million new jobs will be added to the economy,” Samaraweera said. He also noted that there were several subsidised loans for the agricultural sector at various points of the value chain in an effort to improve productivity and value addition in that sector. Other targeted investments include technology, funded through ‘Enterprise Sri Lanka,’ which will enable SMEs to be more competitive in their industries. Drawing from the experiences of APRACA member countries, the Minister emphasised that this forum provided an excellent opportunity for knowledge sharing. 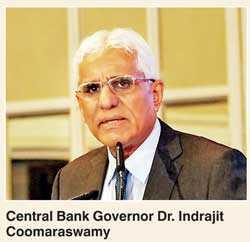 Central Bank Governor Dr. Indrajit Coomaraswamy said it was of paramount importance that financial institutions be more flexible and innovative in dealing with micro, small and medium enterprises MSMEs. “Financial institutions must have a proactive and value-added engagement and build relationships with their borrowers, helping improve their bankability. It is imperative that financial institutions do not just provide financial support, but also help inculcate the necessary entrepreneurial and management skills in MSMEs,” he said, delivering the closing remarks at the Asia-Pacific Rural and Agricultural Credit Association (APRACA) Regional Policy Forum in Colombo yesterday. Acknowledging that the microfinance sector in many countries including Sri Lanka was experiencing maladies of over-indebtedness and lack of customer protection, he insisted that to serve MSMEs better, it was necessary to attach the highest priority to a fundamental change in the management attitude and internal processes of financial institutions. “Financial institutions need to provide specialised MSME windows in their branches with specially trained staff, and adopt appropriate MSME credit rating systems. Most importantly, financial institutions should change their internal credit evaluation and risk assessment processes to increase the quality of management decision making, in order to serve the MSME sector better. In assessing the MSME customers, financial institutions must rely less on the current financial position of their client and give more weight to factors such as the product offering, the market conditions, future cash flow and exposure to foreign exchange risk,” he added. In this regard Dr. Coomraswamy suggested use of information technology to obtain more information from MSMEs, to predict future cash flows of MSMEs and increase the process efficiency of disbursing finances, and more sophisticated loan management such as portfolio stress testing. Noting that regulators, including central banks, had a role in assisting the growth of the MSME sector, he said the main role of regulators was to improve the lending infrastructure and enact enabling regulation. He said the Industry and Commerce Ministry had formulated the National Policy Framework for SME Development, with a vision of creating a significant number of globally-competitive, dynamic, innovative, technologically-driven, eco-friendly and sustainable SMEs that contribute to national economic development. This framework supports policy interventions to support SME growth by creating a supportive enabling environment and interventions to support technology transfer, an entrepreneurial culture, skills development, access to finance, market facilitation and research and development. “The Central Bank is partnering the Government in the implementation of the framework by aligning the relevant policy changes with the framework,” he said. To promote entrepreneurial skills among the wider population, he asserted that the Central Bank was advocating including financial literacy and entrepreneurial skills development aspects into the school curriculum, which would be implemented within the wider framework of the National Financial Inclusion Strategy of Sri Lanka. Dr. Coomaraswamy said in the current environment of depreciating currency, it was advisable for the MSME sector to be oriented towards the export sector, helping to increase the foreign currency inflow to the country. The Governor also acknowledged that APRACA was playing a leading role in promoting rural financing through a number of activities such as knowledge sharing, capacity building, and research. “APRACA’s efforts to identify the shortcomings in MSME financing and creating a dialogue on appropriate remedies should be highly commended,” he said.